1. You only have to plant them once. 2. 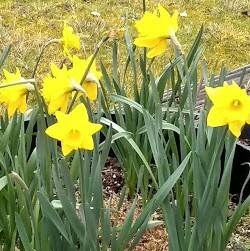 Then they come back every year, blooming their hearts out for you. 3. What else could you possibly need to know? Some of you know that I divide my time between an apartment/townhouse in Portland, and a small cabin on a tiny peninsula off the coast of Washington state. Because of intense work pressure, I wasn’t able to spend time at the beach house from last November until just recently. 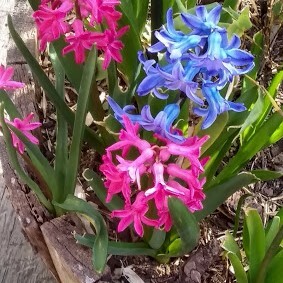 Jewel-toned hyacinths by the front door, jaunty daffodils at the back door. Even in the drizzly, overcast weather so common to our western marine climates, these beauties just keep doing what they do – and lift my spirits no matter what. See what I mean? I didn’t have to do anything, but just when I needed cheering up, they were waiting for me with a smile. 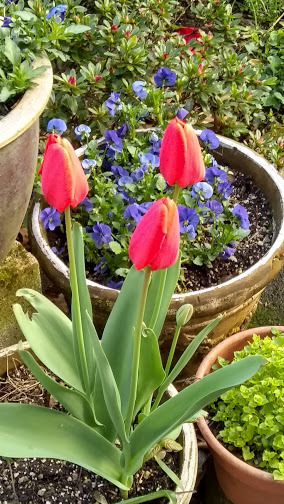 Brilliant red tulips backed by sweet blue violas. 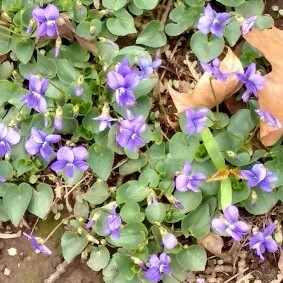 Violets by the hundreds. 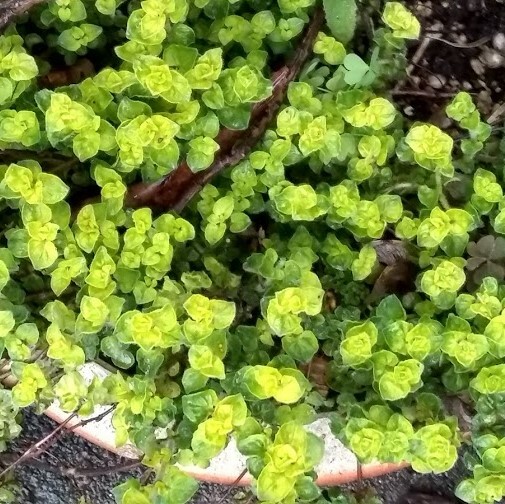 Golden oregano. (OK, not a flower but gorgeous nonetheless). Now, as you may know, my primary focus with gardening is growing good things to eat – vegetables, herbs, edible flowers. And since I don’t have an actual “dirt” garden to speak of, I do it all in containers. Almost all of those edible plants are annuals, meaning I have to be mindful of when is the best time to plant them, and then I have to manage to get it done. So there is great satisfaction in seeing these beauties come back to say hello without any work on my part. And here’s the very nice thing: the flowers of tulips, violas, and violets are all edible. So I can have my cake and eat it too. So to speak.